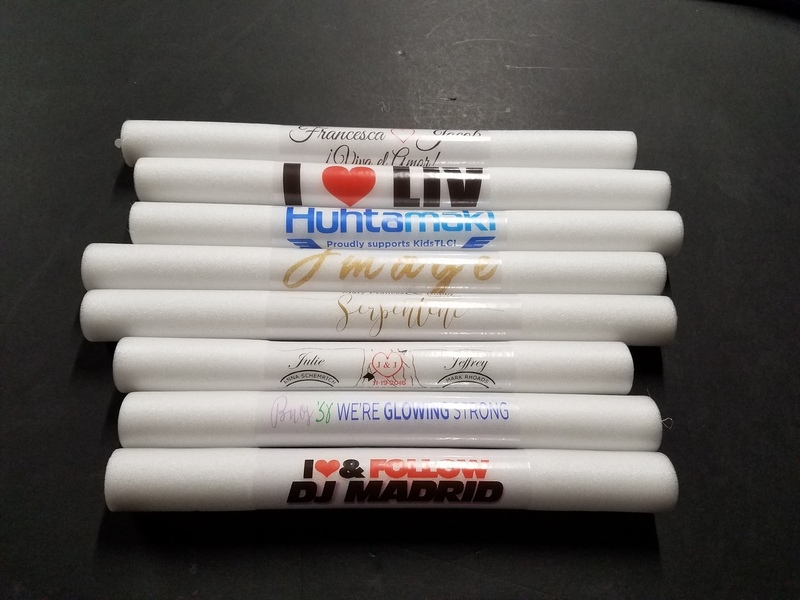 Used in all the mega clubs in all the large cities, 16″ inch LED Lite Sticks will get you and your friends together to have a great night. With its multi function lighting, you’ll be able to control the vibe of the room. Get yourparty on with the strobe or set a calming mood with the morphing colors of red, green, and blue. Great not only for the club scene but for social activities like concerts and sporting events. Being 16” long and 1.5” wide, the LED Lite Sticks are the ultimate handheld party tools. Our label is 7.5″ x 5.5″ inches and we are happy to make the art for you or you can make the art yourself. 1 or 2 sided. 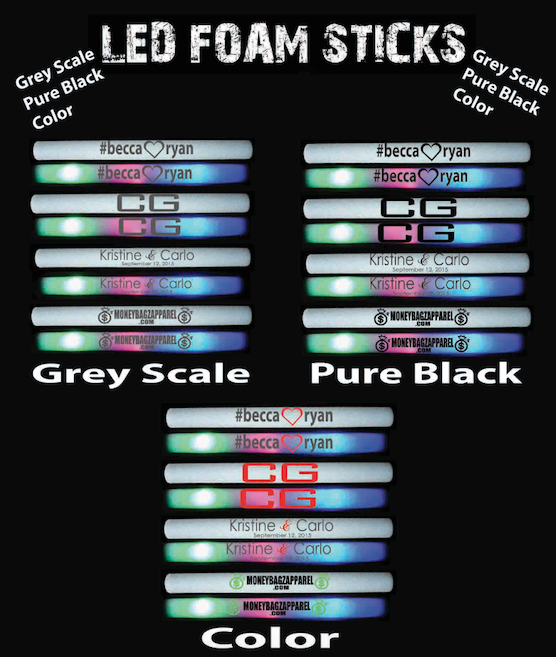 We offer the Higher Quality, Higher Grade 16" (inch) "7 Function" L.E.D. Foam Sticks. These obviously have better L.E.D. interior parts and a better lighting effect as well as they arethe most durable and re-usable. Batteries are also replaceable on these. MINIMUM CUSTOM ORDER IS 50 UNITS. 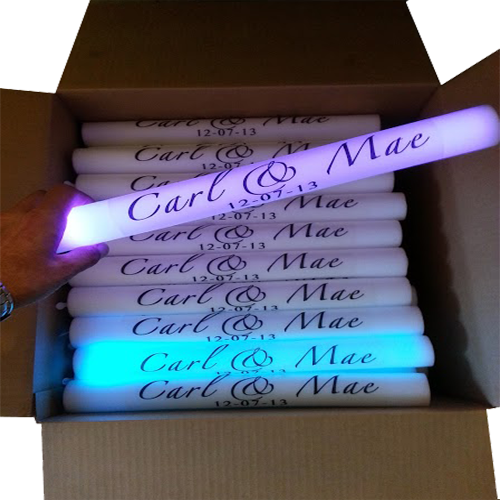 Our LED foam sticks are made with durable opaque foam that allows the LED lights to make the stick glow. An electronic switch at the bottom changes the function. 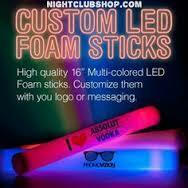 Each foam stick is rated to last about 12 hours of constant use, batteries included. 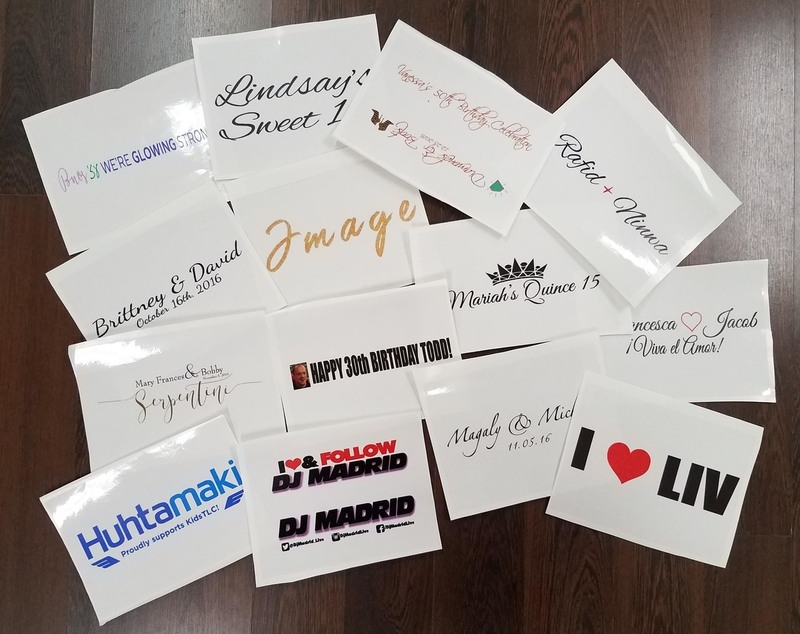 Our 16 inch foam sticks are able to be customized with your logo, hashtag, tagline or pretty much whatever you want, color and content. 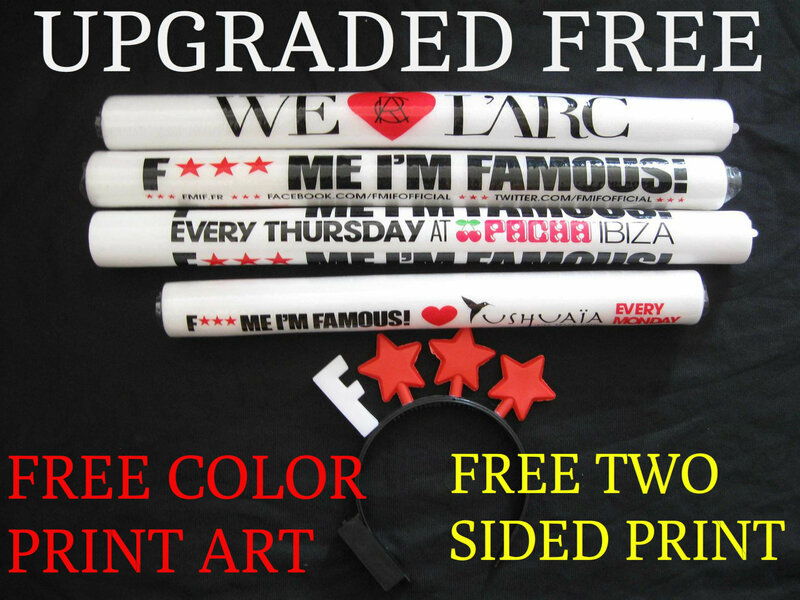 Our 16 inch foam sticks are the upgraded premium version which offers 6 functions of RGB (Red, Blue & Green). 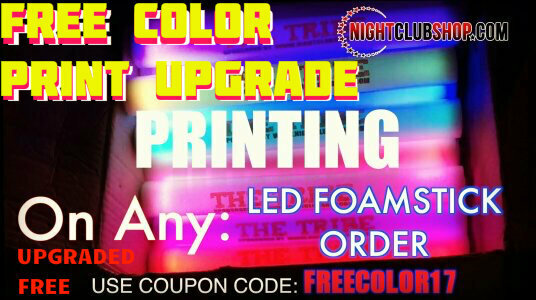 Our 16 inch LED foam sticks are made differently than other 16 inch in that the RGB lights are compacted at the bottom creating a more even glow throughout the whole foam stick. 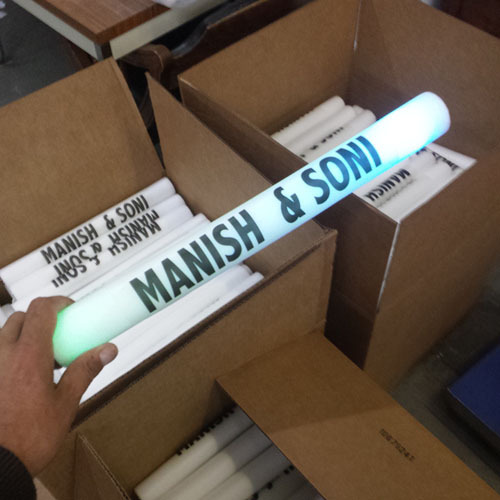 Also, other foam sticks have 1 or 2 functions where ours has several to fit your mood.